Carolyn Faulk is President of Houston based A&C Plastics, a company she started over 30 years ago and has actively led to become one of the nation’s largest distributors of plastic sheet material. Carolyn has received many honors and awards for her accomplishments in the business world, as well as for her numerous philanthropic contributions. She is a lifetime Vice President of the Houston Livestock Show and Rodeo, and actively participates in the organization’s fundraising efforts. She also actively supports a number of charitable organizations. She is a member of Second Baptist church in Houston, Texas. Carolyn has two grown children, Katie and Brian. Katie Clapp is Vice President of A&C Plastics, overseeing virtually all aspects of the company’s business operations. Being the boss’s daughter didn’t help Katie climb the corporate ladder. Katie started working at A&C at a young age, and learned the business from the ground up. Katie is also active in the Houston Livestock Show and Rodeo, and is the proud mom of four children with her husband, Jimmy. Jimmy Clapp is the President and CEO of A&M Boat Services in Houston, and has over 20 years of experience in the Marine industry. Jimmy is a volunteer and lifetime member of the Houston Livestock Show and Rodeo. He is also a member of Texas Equi Search, an organization that assists police in finding missing persons. Jimmy is an avid fisherman and proud parent. Randy Allen is President of Houston based Ranco Industries Inc. Ranco Industries manufactures compression molded and extrusion-type specialty products for world wide industrial distribution. 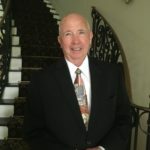 Randy has a lifetime of involvement in community and charitable organizations that include Rotary International, Masonic & Shrine, and Chambers of Commerce. Randy’s concern for the community extends to social Issues as well. He has continued to channel his efforts where he can make a meaningful impact on the efforts of those already striving to make our world a better place to live and work. Dolly is a retired oil and gas employee with many years of service in volunteer work of all kinds. In recent years, she spear headed the work days, set up, and stocking of the new Faulk Foundation warehouse. She is committed to helping the less fortunate and is grateful for this opportunity to do it through this wonderful organization. Her husband, Jerry, helps repair work on items for the warehouse and her daughters Frankie Cox and Brooke Persyn also volunteer at the warehouse. Jerry Franklin was elected to the Faulk Foundation Board of Directors in 2017. He is a Senior Vice President – Wealth Management with Morgan Stanley. In this position he has the opportunity to work with many businesses and civic leaders. These associations, combined with his father’s advice, have helped Jerry develop his view toward philanthropy, that is to “help others help themselves”. He is pleased to join his wife, Dolly, and other Faulk Foundation Board Members in their efforts to make a difference in the lives of the less fortunate. Jessica Calderon was born in Mexico and raised in Houston, Texas. She has been with A & C Plastics for twelve years, where she serves as office manager. As office manager, she keeps everything running smoothly and works diligently behind the scenes solving problems throughout the day. Along with her work at A & C Plastics, she now serves as the Executive Director for The Faulk Foundation. Jessica is the ‘voice’ of the Foundation and ensures that any questions that arise are answered clearly and timely. Thanks to her administrative support, ‘can-do’ attitude, and behind the scenes work we are able to make a difference in the Houston community. Jessica is married and has two daughters.